AWS Elastic Beanstalk helps to quickly deploy and manage applications in the AWS Cloud without having to worry about the infrastructure that runs those applications. Elastic Beanstalk reduces management complexity without restricting choice or control. Elastic Beanstalk provides developers and systems administrators an easy, fast way to deploy and manage the applications without having to worry about AWS infrastructure. An Elastic Beanstalk application is a logical collection of Elastic Beanstalk components, including environments, versions, and environment configurations. When an environment is created, Elastic Beanstalk provisions the resources needed to run the application version you specified. An environment tier whose web application processes web requests is known as a web server tier. AWS resources created for a worker environment tier include an Auto Scaling group, one or more Amazon EC2 instances, and an IAM role. One environment cannot support two different environment tiers because each requires its own set of resources; a worker environment tier and a web server environment tier each require an Auto Scaling group, but Elastic Beanstalk supports only one Auto Scaling group per environment. Elastic Beanstalk supports IAM and helps you securely control access to your AWS resources. Elastic Beanstalk is integrated with CloudTrail, a service that captures all of the Elastic BeanstalkAPI calls and delivers the log files to an S3 bucket that you specify. CloudTrail captures API calls from the Elastic Beanstalk console or from your code to the Elastic Beanstalk APIs and help to determine the request made to Elastic Beanstalk, the source IP address from which the request was made, who made the request, when it was made etc. Elastic Beanstalk provides support for running RDS instances in the Elastic Beanstalk environment which is ideal for development and testing but not for production. 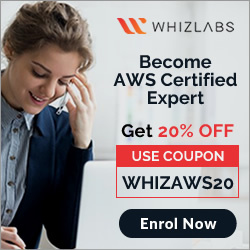 It is recommended to launch a database instance outside of the environment and configure the application to connect to it outside of the functionality provided by Elastic Beanstalk. Using a database instance external to your environment requires additional security group and connection string configuration, but it also lets the application connect to the database from multiple environments, use database types not supported with integrated databases, perform blue/green deployments, and tear down your environment without affecting the database instance. Elastic Beanstalk creates an S3 bucket named elasticbeanstalk-region-account-id for each region in which environments is created. Elastic Beanstalk uses the bucket to store application versions, logs, and other supporting files. A scalable storage appliance on top of Amazon Web Services. A service by this name doesn’t exist. A .NET application that you manage is running in Elastic Beanstalk. Your developers tell you they will need access to application log files to debug issues that arise. The infrastructure will scale up and down. How can you ensure the developers will be able to access only the log files? 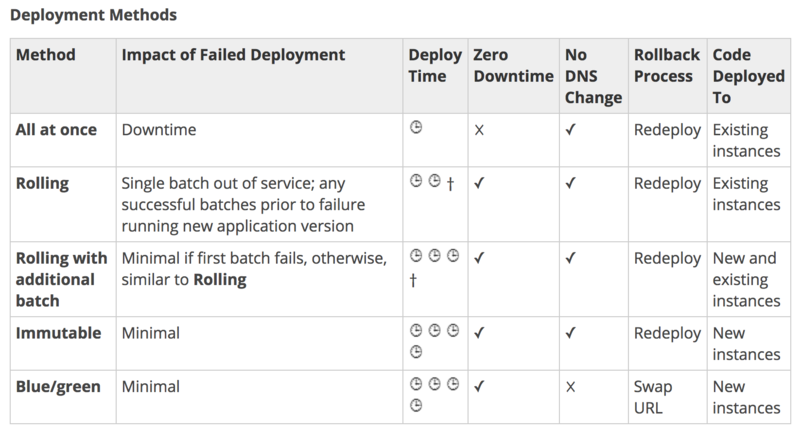 Those who want to deploy and manage their applications within minutes in the AWS cloud. 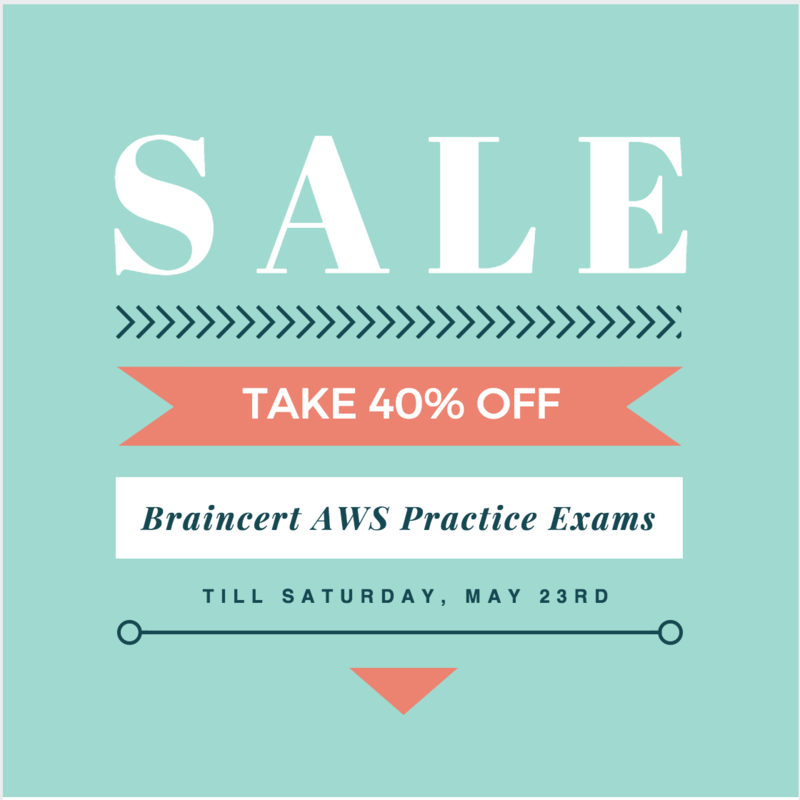 Those who want to privately store and manage Git repositories in the AWS cloud. Those who want to automate the deployment of applications to instances and to update the applications as required. Those who want to model, visualize, and automate the steps required to release software. Applications have many deployments, deployments have many environments. Environments have many applications, applications have many deployments. Deployments have many environments, environments have many applications. If you’re trying to configure an AWS Elastic Beanstalk worker tier for easy debugging if there are problems finishing queue jobs, what should you configure? Worker tiers pull jobs from SNS. Worker tiers pull jobs from HTTP. Worker tiers pull jobs from JSON. You are building a Ruby on Rails application for internal, non-production use, which uses MySQL as a database. You want developers without very much AWS experience to be able to deploy new code with a single command line push. You also want to set this up as simply as possible. Which tool is ideal for this setup? 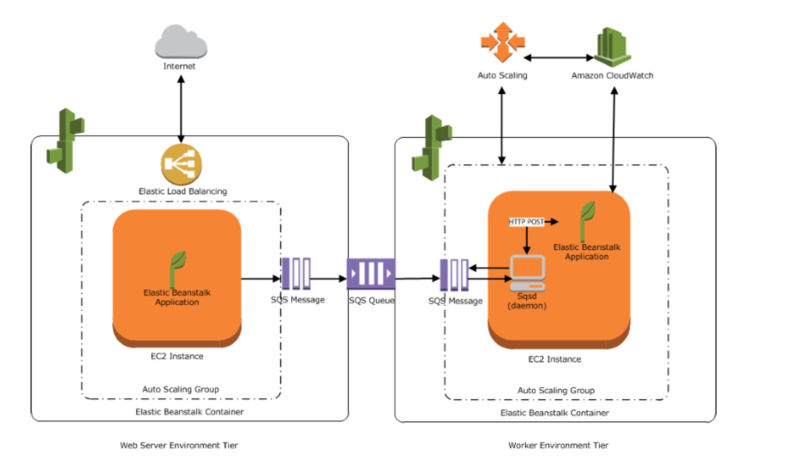 What AWS products and features can be deployed by Elastic Beanstalk? Choose 3 answers. AWS Elastic Beanstalk stores your application files and optionally server log files in ____. When you use the AWS Elastic Beanstalk console to deploy a new application ____.